Do you remember decorating items – clothes, shoes, poster boards – with puff paint back in the ‘80s? Well, as all trends do, puff ink has made a comeback and is growing in popularity in the screen printing world. Luckily (no offense to your DIY decorated Keds), these days, puff ink has a bit more sophistication and is a great option as a speciality ink. As the name implies, the ink literally expands and puffs up once it’s exposed to heat. 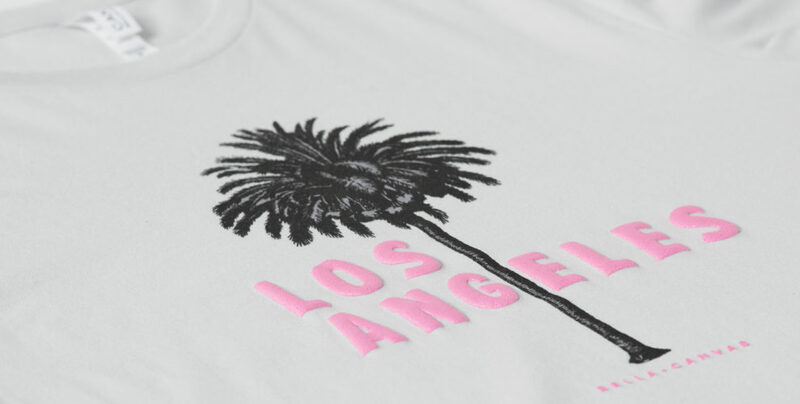 It’s created by combining regular plastisol color ink with a puff print additive. It’s first introduced to the garment through a screen applied with pressure. The more volume of ink added, the higher the puff will be. Once the design is created, it’s very important that the garment is properly cured at temperatures between 302° – 320° F. If the temperature is too hot, the puff will collapse. After it’s exposed to the high temperature, the puff ink raises above the surface adding texture and density, giving the garment almost a three-dimensional look. When puff ink additive is mixed with plastisol ink, the color will be diluted, making the plastisol color more muted than it would be on it’s own. In order to achieve the specific PMS color desired, try adding an additional layer of the plastisol. That means, the first layer will be the puff mixture (about 90% puff additive with 10% plastisol ink), then, after flashing, add a second coat of the plastisol in the PMS color you want to achieve, and voila! 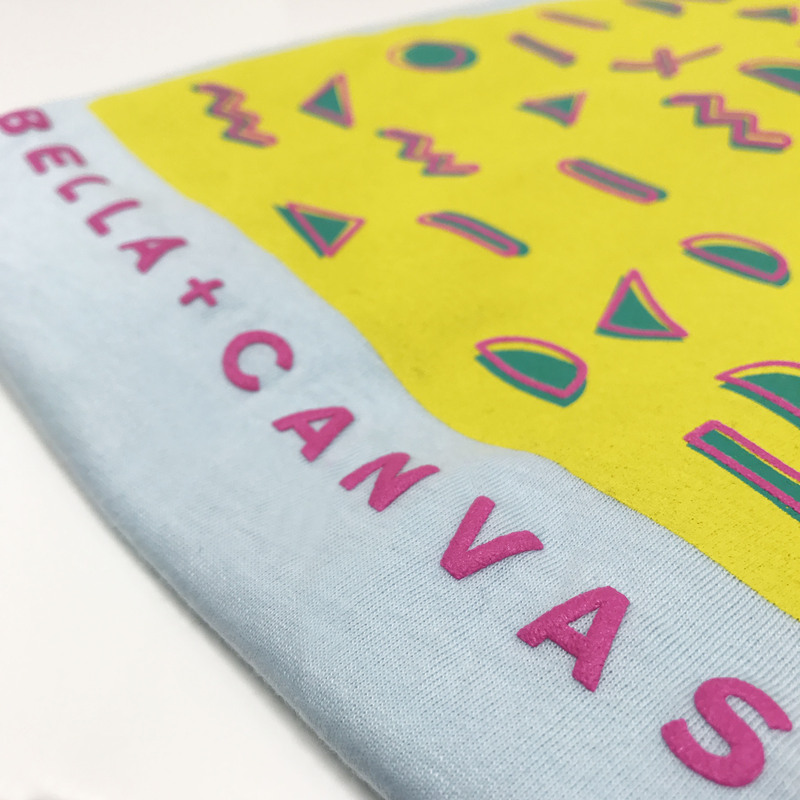 Since the ink remains flat on the garment, like any regular plastisol ink before it’s exposed to heat, there’s room for experimentation and creativity when using it, and we think it’s a great way to add effect! A great example of this is to add puff ink as a single-color texture. This will bring a bit of intrigue and attention to a flat design. 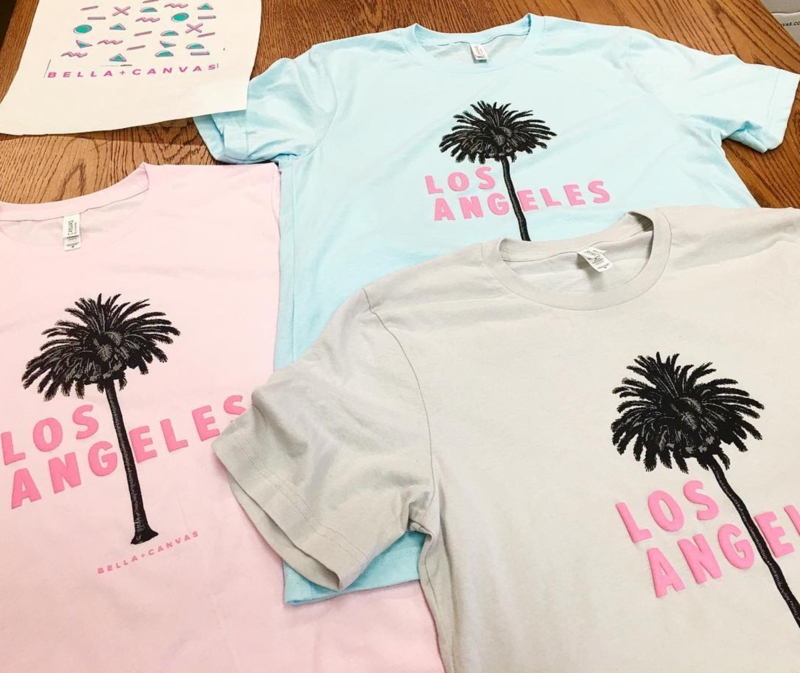 During a recent visit to Deluxe Screen Printing in Los Angeles, we tried pairing puff elements with both a black and white design as well as a multi-color print. Both turned out awesome, which you can see in the video above! You could also use the specialty ink as a raised keyline around text or as a gradient. If you have any other ideas for how to incorporate puff ink elements, let us know in the comment section of our video here, and don’t forget to subscribe to our YouTube channel for more content like this!